Throughout the world we hear stories ranging from children being abused, to shootings taking place, and lives being lost. It is the optimism, rather hope, that helps us get through these times. On January 29, 1954, Oprah Winfrey was born. Oprah was one of those children who was sexually assaulted and abused as a child, apart of a family who was in dire poverty, and experienced the loss of her child. Now, Oprah Winfrey is one of the most influential people in the world and a woman who has achieved great success. She once said “Be thankful for what you have; you'll end up having more. If you concentrate on what you don't have, you will never, ever have enough”. She realizes that you have to be hopeful for what the future will bring you, while still realizing that you do not always get what you want in life. There are two kinds of people in this world, not one greater than the other, and one lesser than the other. There are the realists of this world, and there are the optimists of this world. The realists see this world as concrete and pure to its facts, something that is in place and has already been placed and cannot change regardless of how much you hope. Then, there are the optimists. In complete contrast to the realists, optimists see this world as clay. They can mold it and bend it into whatever shape they want. It is the hope that they have which gets them through life. 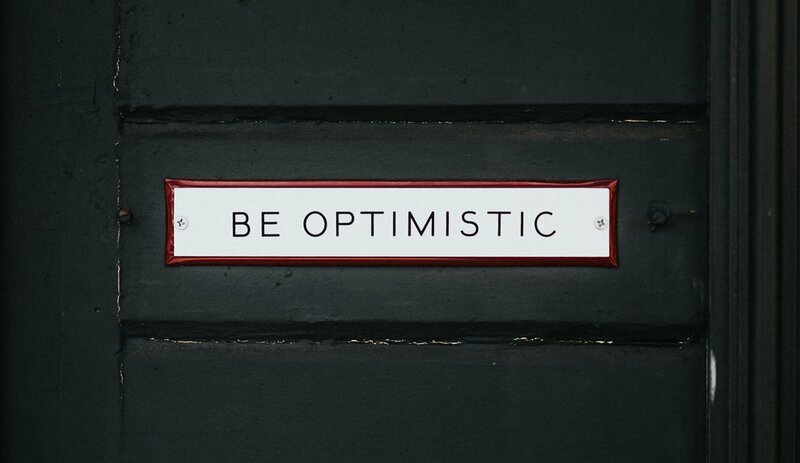 According the the Merriam Webster dictionary, optimism is hope but reality is the actual situation. People like J.K Rowling, Stephen King, Oprah Winfrey, and Tyler Perry have all experienced many lows in their life, some were told they would never succeed, some were abused, and some were forgotten. Still, these people never gave up and are now some of the most influential members of society. Optimism is what kept these people going. The hope for a better tomorrow. However, reality is what kept them grounded, reminding them that it doesn't always work out, reminding us that it's okay to fail. Living in one life of all positivity is not enough and in the same exact way, living in a world devoid of hope and emotions is not enough. One without the other can never make one, one disregarded while the other is glorified can not lead to success. Positivity and hope are always needed in this world, however, we all have to remember that we sometimes do fail, and failing is ok. We learn the most from our failures, not from our successes. Henry Ford once said, “Failure is simply the opportunity to begin again, this time more intelligently”. With optimism, you must be willing to face reality as well, to see the evil and the bad of the world, and with reality, you must willing to hope for the future. Every person from every background needs both optimism and reality in their life. We all need optimism to keep us positive and hopeful, and we all need reality to help us understand the world and that it is ok to fail. If you were to ask any person of success if they had experienced failure while still remaining optimistic, they will all say yes. No one is expected to constantly succeed and constantly win everything. I ask you all one question: What are you going to do to make a change, to ensure your success, to lead a positive happy life?